For most, the brilliant composer Sergei Rachmaninoff brings to mind powerful piano works and an iconic, unequivocally Russian sound. 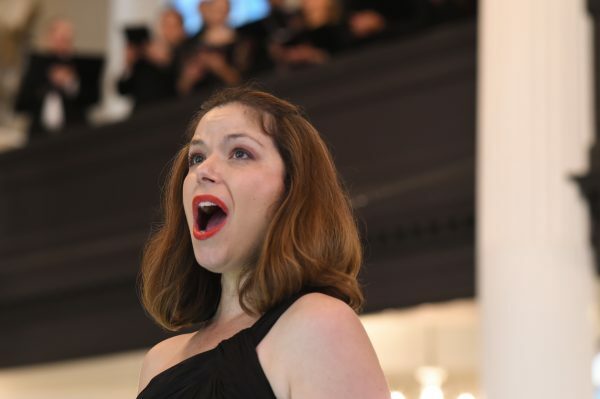 Deeply profound, the challenging work has become one of the vital pieces of choral repertoire around the world, yet it was banned from performance in Rachmaninoff’s homeland of Russia for 70 years. “The sound of church bells dominated all the cities of the Russia I used to know—Novgorod, Kyiv, Moscow,” Rachmaninoff wrote in 1913. “They accompanied every Russian from childhood to the grave, and no composer could escape their influence. Rachmaninoff’s time as a composer actually coincided with the re-emergence of Russian sacred choral music in the late-19th and early-20th centuries. 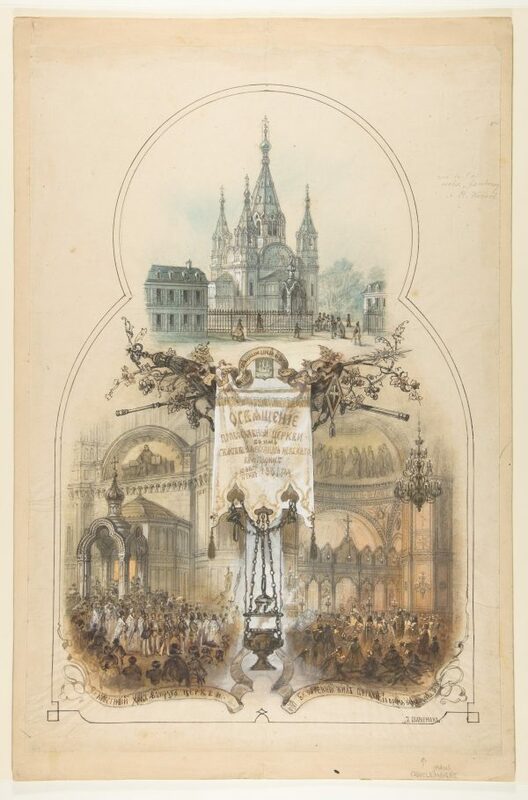 After about a century of mixed foreign influences on Russian choral music, and then its falling out of popularity because of censors, Prince Vladimir Fyodorovich Odoyevsky helped bring Russian liturgical music back to society. Odoyevsky was a writer, musicologist, and a founding member of the Russian Musical Society. He brought together many musicians interested in studying these liturgical chants, as well as old books and manuscripts, eventually providing the composers and musicians at the time with a foundation for new sacred works. The “Vespers” is a notoriously difficult work, one reason being that the text is Church Slavonic, and the pronunciations and grammar can seem arcane and foreign to even native Russian speakers. 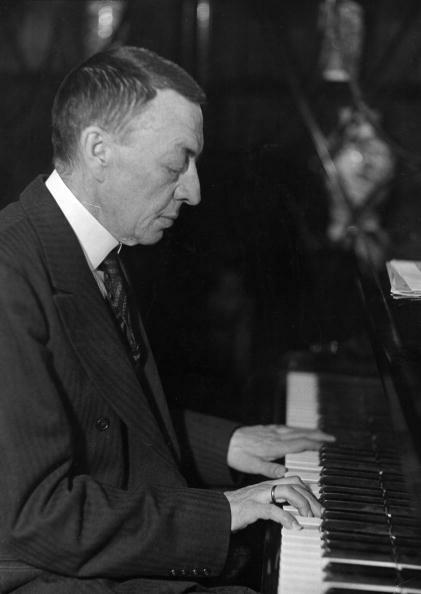 The text was new to Rachmaninoff too, but the result was that he pored over the text of the hymns in working on the “Vespers,” setting each line to poetic, powerful effect. The piece, to this day, feels fantastically fresh. It is an a cappella piece that includes no instrumental support and requires incredible intonation. It also includes very low bass parts and many vocal lines, making it as difficult as it is unique. This piece was composed and premiered in 1915, by which time public concerts of sacred choral works had become part of daily life in Russia. Well-known churches would put out programs in advance, Morosan wrote. 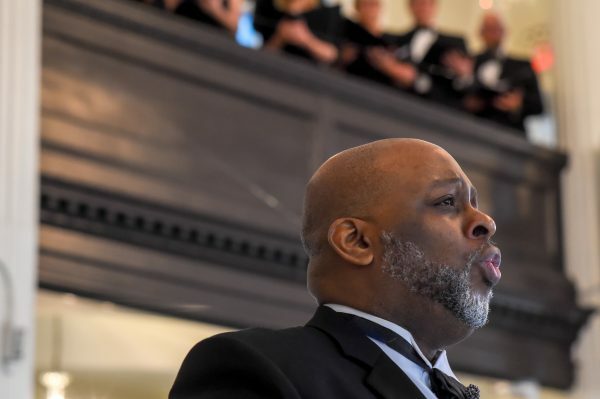 Opera soloists would be invited to sing in churches, and at some places, people were coming specifically for the music or singers. But by 1917, two years later, censors came down on the sacred works of famous composers: Rachmaninoff, Pyotr Ilyich Tchaikovsky, Nikolai Rimsky-Korsakov, and Mily Balakirev, to name a few. This was Rachmaninoff’s last sacred choral work. 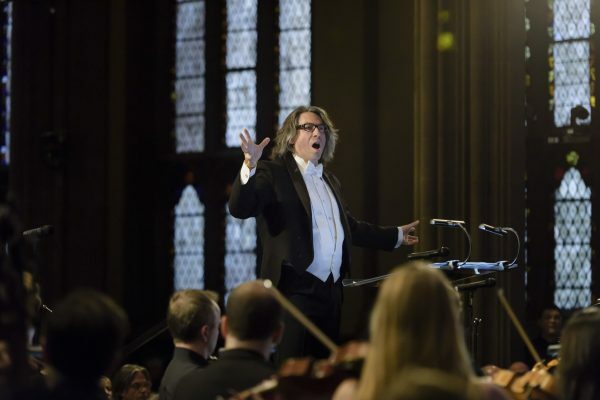 “There’s a sense of something revolutionary to it, ironically enough because the piece was composed and then not allowed to be performed in its country of origin for decades because of the communist dealings with religion,” Julian Wachner, music director at Trinity Church Wall Street, said by phone. 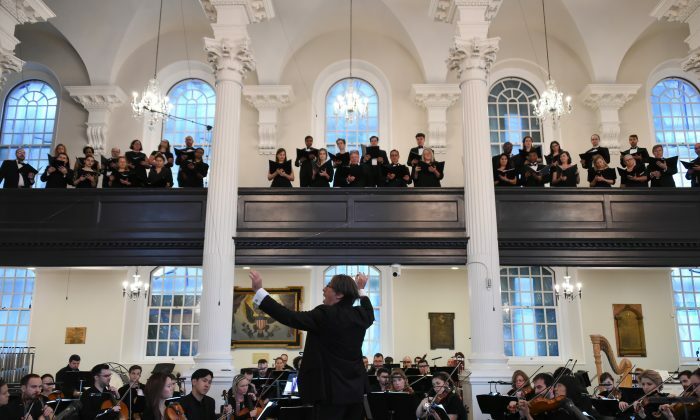 Wachner will be conducting the Trinity Choir in an evening performance—new for the church, as Lower Manhattan increasingly becomes a nighttime destination—on Nov. 16 at St. Paul’s Chapel. Indeed, in 1917 the Russian Revolution led to the rise of the Soviet Union, which was ruled by the Communist Party and sought to dismantle religion and faith as one of its first tasks. “We must combat religion—that is the ABC of all materialism, and consequently of Marxism,” Vladimir Lenin wrote. Only weeks after the party took power, it removed all references to religion from the school curriculum. Then it moved on to demolishing or repurposing churches and other religious spaces, killing clergymen by the thousands, and sending intellectuals to camps. As a result, many sacred musical works were banned in the Soviet Union. Rachmaninoff was among a number of composers who left Russia after this. During the war, he had returned home one day to find his home seized by the Social Revolutionary Party and in chaos. He left, vowing never to return, and performed concerts from country to country until he settled in the United States. In 1918, he and his family moved to New York City. Rachmaninoff never returned to Russia. In his years abroad, the composer only completed six works, including his Symphony No. 3. Great art has the power to transform and transport you, and Rachmaninoff’s choral masterpiece paints a beautiful image of his lost Russia. It was one of his last works before his self-imposed exile, during which he became known more as a pianist than a composer. “There’s a feeling of nostalgia in this work,” Wachner said. At the same time, there are notes that point to a more hopeful future.